When looking into starting a new site, aside from the idea of what you’ll look to do, it’s crucial to have a sound foundation from a technical standpoint that can keep up with your ideas. Ideally, it would be a solution that is at the same time robust enough to provide you with various solutions and simple to set up, so you don’t have to worry too much about it. This is nowhere more evident than in your hosting service. If it’s good you basically won’t know you have it and if it’s not so good, you’ll be marauded by issues you probably won’t have the answer to unless you’re highly skilled in the field. If you’ve decided to run your site through WordPress, then you should look no further then Kinsta for your hosting services. It encompasses everything you need from a hosting service and even some things you didn’t even know you needed. With any software you spend a lot of time in it’s essential the user interface is functional, easy to use and easy on the eyes. The devs at Kinsta have found their solution in MyKinsta, the all in one dashboard. On the main page, you’ll get to see and keep track of all your pages currently using Kinsta hosting, as well as technical stats for bandwidth and disk usage and general stats for visitors and invoices. The dashboard, however, isn’t just a monitoring platform. As you would expect there will be important tweaks, changes, and various customizations. Among other things, in the tools tab, you’ll get to set up free SSL directly from the dashboard with the Let’s Encrypt option (we’ll get more into this in the security section). Most of the site maintenance will also go through this tab such as PHP and cache management and monitoring. The stats you get access to on the main page is just a fraction of everything that you can get feedback on. 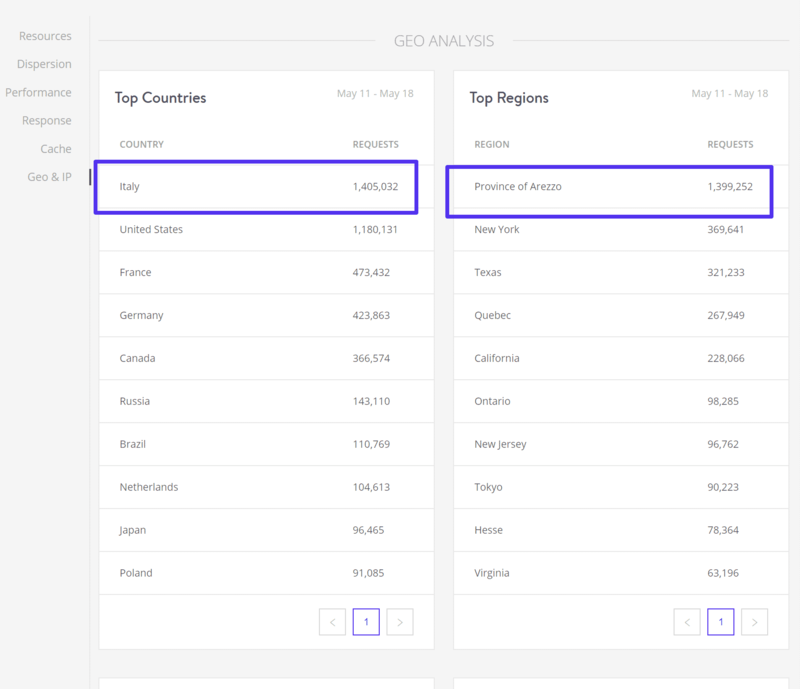 With Kinsta’s analytics, you’ll get information regarding both your visitors and your resources. Keeping these two in balance is crucial for your site to run smoothly so you’ll be glad to have this information at your back and call in just a few clicks. Your enterprise doesn’t extend only outside. As an admin and/or owner you’ll also have to manage the users who get to work for you from the backend. Keeping track of all those people and their access credentials is much easier when all of them are gathered in the same place. In the user management tab, you’ll not only get to track all your users but also customize their options regarding your sites in one place. You’ve got to keep your site and your user secure, it’s as simple as that. Fortunately for you, Kinsta offers a high-end security solution that includes a two-factor authentication method, automatic IP banning, and GeoIP blocking. As you would expect, the first step in the two-factor authentication is the password login (required combination of upper and lower case letters, numbers and symbols). Nothing out of the ordinary here. The second step in two-factor authentication is optional and is done either through SMS authentication which is sent directly from the MyKinsta dashboard or using software authentication through the Authy app – their longtime collaborators in these matters. Both methods are equally safe and are just a matter of preference. IP blocking is primarily enforced to keep your site and the data on it safe as a potential target for various bots, spammers and hackers. The problems they could cause exceed the information breach that first comes to mind. With a big enough number of requests, these nuisances can seriously hamper your operating capacity, making the site unstable and off-putting for potential visitors. With Kinsta you’ll be able to access a detailed IP analysis that will help you pinpoint potential spammers and/or bots. With this information, you can block specific IP addresses to prevent them from even sending requests, in turn making your site fast and safe. GeoIP blocking is done consulting with the Kinsta support team since this option blocks requests for entire countries. There would be two primary reasons to go this route. Either your site's content is in conflict with the country’s laws and regulations, or you’ve noticed through a period of time that a vast number of IPs from a country has proven to be fraudulent. You can learn more about GeoIP by checking out common uses of GeoIP and compare some of the popular GeoIP services. The already mentioned Let’s Encrypt option enables you to issue SSL certificates to enable HTTPS. This will, at the same time, show your visitors that the site is safe and bump your SEO rating (the better the certificate, the better the rating). Apart from the certificates, Kinsta offers an SFTP and SSH encryption, that with the underlying security infrastructure ensure your site will be as safe as it can be. If anything happens to go wrong, you won’t have to worry. The support you’ll receive will be quick and efficient. The customer service is available 24/7 and every agent you’ll contact is fully knowledgeable in WordPress programming and all aspects of hosting. This ensures you won’t have to go through various redirections before you get to communicate with someone who can actually help you. The solving rate for any and all problems is 100% so your satisfaction is guaranteed. Maybe even more important than the 24/7 customer service business hours is the 24/7 site monitoring where the uptime of your sites is checked every 2 minutes. Because of this frequency if a problem ever does pop up, chances are, they’ll already be working on a solution by the time you contact them. If by any chance the site goes through such an attack that a rollback is required, it won’t pose a huge setback because of the daily backups (kept in the archive for two weeks) making the reverting relatively painless. In those rare instances, all needed repairs are done for free and you don’t suffer any downtime because of the aforementioned regular backups. One more thing, very important to point out, is the free migrations Kinsta offers. In each of its tiers, you’ll get at least one free migration that will rid you of the hassle you’ll go through by doing this manually. It may not seem like much, but anyone who has ever done a migration manually can attest to the obligatory unforeseen issues that plague such an endeavor. Everything you need to do here is to fill out a short migration form and the in-house migration team takes over, making your life that much easier. For all the features we’ve mentioned to run smoothly there has to be a solid software and hardware foundation in place. Kinsta uses the state of the art Google Cloud Platform premium tier network. With it, you’ll be able to choose one of the 18 data centers located around the world – in the US, Europe, Asia-Pacific, and South America. What really stands out is that you can choose a different data center for each site you’re hosting on Kinsta. If by any chance you’re running a global site that uses multiple servers, or simply run multiple sites oriented on different markets this will prevent any potential lag. Furthermore, to ensure absolutely no dips in performance whatsoever Kinsta implements the Amazon Route 53 premium DNS, KeyCDN and an optimized WordPress stack of PHP 7, Nginx, HTTP/2, and MariaDB – blazing speeds guaranteed. If you’re worried about sudden spikes in traffic – don’t be. There is an automatic scaling system in place that is capable of handling any and all spikes that might occur. To put it simply – no crashes and no downtime no matter the number of requests. Kinsta can provide you with the best in all hosting fields because it’s a premium service. There are no free options or trial runs (you do get a money back guarantee if you cancel your subscription within the first 30 days). Essentially you get what you pay for – top service for a higher than average price. It’s a pretty straightforward monthly subscription model, but the great thing is that if you opt for the yearly payment you’ll get 2 months for free (as of writing). There is a number of tiers to choose from (a total of eight), so you’ll find something that suits you best. Be sure to check out the pricing below and on their official site here LINK. If you’re just starting out in web development with a small local site or blog, Kinsta could be too much for you. This platform should not be used as a learning tool for your first step in the field. Honetly, you can, but it really isn’t meant for such sites. This is a complete service that provides elite infrastructure, support and security and as such is targeted towards established commercial sites that can utilize everything it has to offer. With a free migration to their servers and 30-day money back guarantee there isn’t a reason you shouldn’t upgrade your site to the next level with a hosting site such as this. Thank you for this review. It confirmed to me that Kinsta is THE HOSTING to go with. I currently host my site with Bluehost, and I really can’t complain because I never had any serious problem with them. But I intend to go far with my business and I know I’ll need to upgrade at one point. And I pick Kinsta as they seem to be cutting edge, which I like.